Eating For Fat Loss — Art Or Science? As the name might indicate, the main difference between bodyweight exercises and classic weight training is that the former makes use solely of your mass to create tension, burn fat, and expand muscle tissue. The latter relies on additional equipment, which is seen as a downside when you are seeking a simple exercise routine. If that is your case, then bodyweight training is certainly the right choice for you. The exercises engage every single part of the body, as long as you are careful to target it. This includes anything from the thighs and arms, all the way to the heart. Due to this, not only do you end up being in great physical shape, but you are also healthier in general. To establish just how that happens, here are the three major benefits of this type of physical activity. An efficient exercise routine delivers incredible results because it is focused on one singular aspect. Some programs aim to improve endurance, while others are designed specifically to build brawn. There are also training schedules that steer towards one specific body part or a particular set of skills that improve athletic performance. There are numerous workouts available online, most modern programs focusing their exercises on strength. Depending on the routine you adopt, you can add in some sessions that target cardiovascular health specifically. However, bodyweight training combines the two types in one simple routine that will improve both aspects simultaneously. What is more, they target every single body part if you plan each session accordingly. The best way to go about this is to integrate 60 seconds of cardio bodyweight movements, such as high knees or burpees, in between your regular push-ups, lunges, and whatever other strength exercises you prefer. This will fortify the heart, build lean muscle, and tone you limb to limb. It’s no secret that most people who take up a regular workout routine seek fast and efficient weight loss. Toning the body in a short period of time is essential during the warmer months of the year mostly, but also throughout its entirety if you value your health and fitness. And even though many programs promise this benefit, few actually help people achieve. One of those select few is bodyweight training. This type of physical activity activates your innate flight or fight response via tension, which signals your body to burn fat so that you stay alive. Even though working out is by no means a life or death situation, your neurotransmitters don’t really differentiate between these various stressors. What is more, bodyweight training usually consists of high-intensity intervals, which are known for their efficiency. In fact, as little as 30 minutes per week of them can deliver comparable results to partaking in long-term exercises or professional sports. This has been demonstrated by a recent study conducted in June 2018. Finally, it’s important to mention that bodyweight training is accessible and convenient. It doesn’t require any additional equipment, and you don’t have to purchase a gym membership to engage in it. In fact, it can be performed just about anywhere. 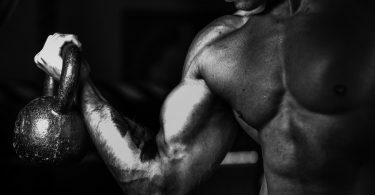 Building lean muscle is thus possible whether you’re at home, at the office, or in the middle of your college’s campus. As previously mentioned, this type of routine relies solely on the weight of your own body to deliver visible results. Therefore, no financial investment is necessary. Consequently, besides being extremely opportune and available to just about anyone, it is cost-efficient as well. After all, who doesn’t dream of a workout that isn’t just affordable, but actually free? The recommended way to approach it is at home, so that you have the necessary space to fully focus on the routine. However, when you are short for time and want to squeeze in a bit of training during your lunch break, a few pushups at the office won’t hurt anyone. It’s no secret that exercising regularly has amazing advantages for the entire body. What sets bodyweight training apart from the crows is its ability to combine strength training with beneficial cardio which results in a shaped body that is also healthier overall. What is more, you can drop pounds a lot faster with this type of workout as well. 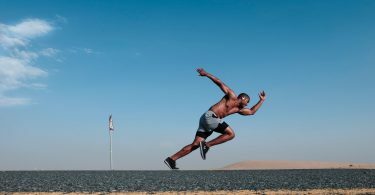 The tension created by the high-intensity intervals behind bodyweight exercises puts just enough strain on your system so that fat is burned at a sped up pace. And to top it all off, it is also one of the most convenient workouts out there, as it is completely free and can be pursued anywhere. If you are serious about pursuing an exceptional body weight program today, follow the link : Get started right away!